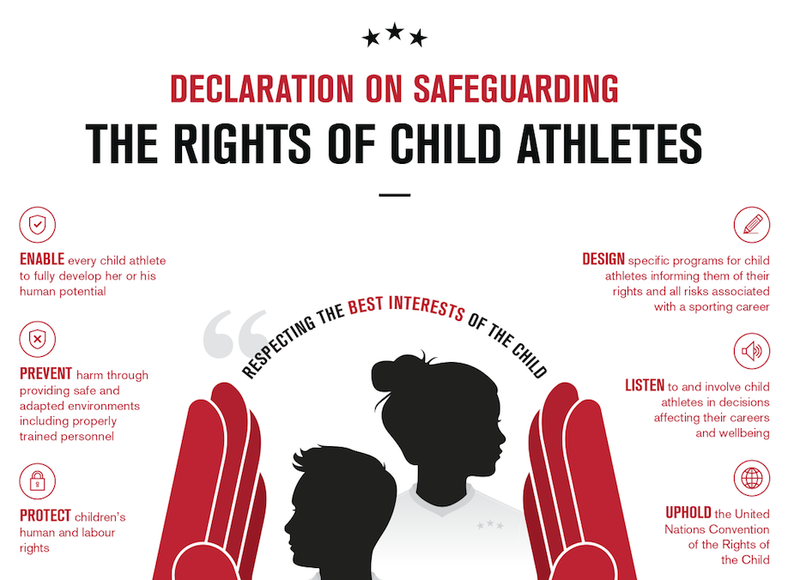 The World Players Association today released a “World Players Declaration on Safeguarding the Rights of Child Athletes” to help protect children participating in sport from growing concerns over the early professionalisation of child athletes and the violation of their fundamental rights, including sexual abuse and trafficking. Recent reports revealing widespread sexual abuse including among teenage footballers in England and US gymnasts alongside the ongoing problem with child trafficking in professional football have led World Players and its affiliates to increase their focus on safeguarding the fundamental rights of children in sport. World Players is working in partnership with international child rights organisations including Terre des Hommes to monitor and evaluate efforts to safeguard children’s rights in the world of sport. World Players works daily with Terre des Hommes to embed human rights in sport through the Sport and Rights Alliance. “Children have unique vulnerabilities which demand special protection. We are encouraged to see the player association movement recognising that this protection must extend to professional sport as well,” said Marc Joly, Head of Campaign at Terre des Hommes. “All too often we see child athletes being denied their right to an education which must develop their personality and talents to the full. We see them being separated from their families at an early age to optimise their training and become victims of abuse at the hands of powerful coaches. Very rarely, however, we hear the children’s voice in elite sport. There is clearly a need to create a space for elite child athletes to be heard and have their opinions respected,” added Joly. The “Declaration on Safeguarding the Rights of Child Athletes” also provided the basis for a joint statement of the European Sectoral Social Dialogue Committee for Sport and Active Leisure signed at its plenary meeting today.